When UD Trucks (previously known as Nisan Diesel) launched its MK and PK models, Gary Worrall was there to see what the fuss was all about. UD Trucks PK and MK range. 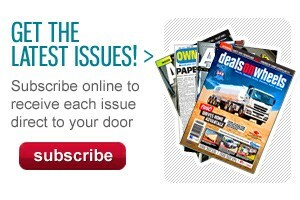 The history of UD in Australia stretches back to 1972, when the first models were imported privately. Distribution rights were secured by the Anderson family in the late 1970s, and since then, UD has morphed into a regional branch of head office. 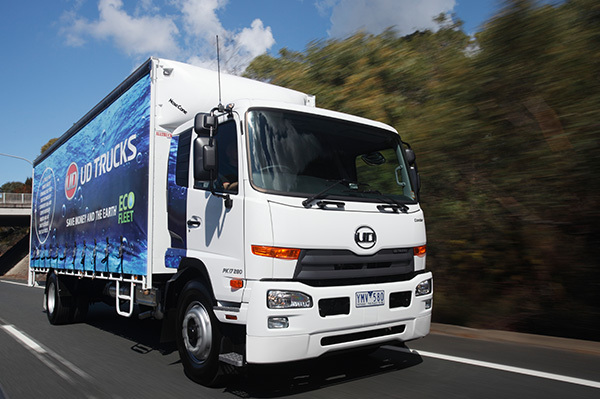 In fact, Australia is now home to UD Trucks Region Oceania, responsible not just for Australia and New Zealand but the Pacific region. 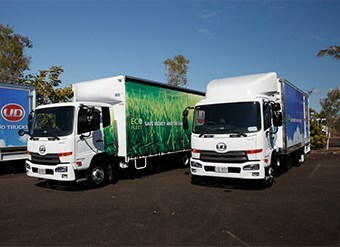 Outgoing UD Trucks Oceania President John Bushell says the company has faced down tough challenges in the past, and under the guiding hand of Volvo Group, with assured budgets for future developments, it is now ready to swoop on its competitors like the bird of prey the new Condor range of trucks is named after. He says the loss of product range in the early part of the new century, coupled with management 'churn' as the brand went through a number of changes of local ownership did impact sales, however, the support of niche customers ensured survival. "We just wanted to be like Hino or Isuzu, but bigger," Bushell says. "Now we can concentrate on brand attributes, with products that are now solutions for our customers." 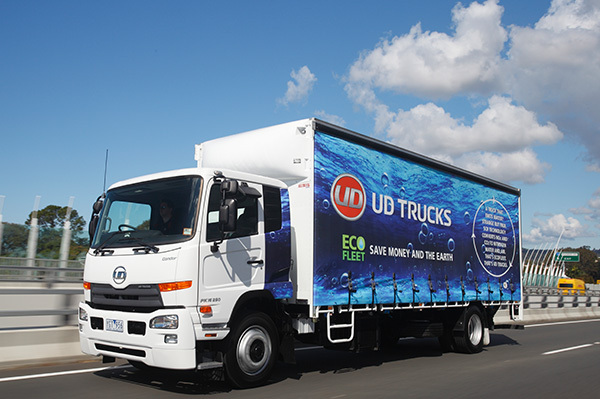 Erik Andersson, the new President of UD Trucks Region Oceania, says the challenge facing UD now is "change, change, change", with virtually everything revamped this year. "Following the full takeover of UD by Volvo Group and the subsequent integration into the company, UD now has a new name, a new brand and new trucks," Andersson says. The future will see more exploitation of group synergies, Andersson says, including research and development of new engines, with a number of corporate functions now handled by Volvo. With the Condor family of trucks offering reduced fuel consumption but increased power and torque compared with their predecessors, coupled with an improved distribution network, Bushell's predictions may well come true. Mark Hammond, Head of Engineering and Product Planning, says the new Condor range provides UD Trucks with a 'family' of trucks, starting with the new Condor MK, progressing through the Condor PK and culminating in the Quon CW, GK and GW heavy duty models. 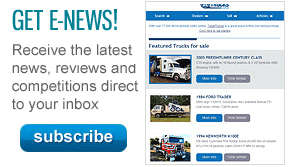 To help differentiate between models, Hammond says models will now have a specific nomenclature identifying the truck. He says each truck will be known by its family name, then model code, GVM and power output, so that an 11-tonne truck would be Condor MK 11 250, while a heavier version would be Condor PK 16 280 for the 16-tonne GVM with 280 horsepower (see specs table for full model codes). With an all-new 7-litre engine replacing the Hino-sourced 7.7-litre unit in the superseded models, Hammond says the GH7 engine was designed in-house and offers more power and torque than the engine it replaces. In its 250 guise, the engine creates 186kW and 716Nm for the MK model, while in the PK it offers peak power of 208kW and 883Nm, with UD Trucks claiming an approximately 10 per cent better fuel economy, with a DEF consumption of 4 per cent. The new engine, when used in conjunction with UD Trucks own oils, is also offered with up to 30,000 km service intervals, although Hammond says there are specific conditions that apply to the extended intervals. For operators requiring a PTO option, Hammond says the GH7 offers a factory-fitted rear-of-engine outlet, which can be fitted either by a UD Trucks dealer or even by operators, which is similar to the popular UD FE6 PTO offered with the Euro 3-spec engines. Compared to the superseded Euro 4 engines, Hammond says the new PTO offers 75 per cent more torque, with a choice of 85- and 120-percent output speed ratio heads. As part of a plan to offer customers stability, Hammond says the new chassis will be retained essentially unchanged until 2020, creating an air of certainty when it comes to body builder designs, making multiple bodies more cost effective as they will not need to be redesigned for Euro 6 emission regulations. The well-sorted Allison automatics proved to be every bit as good as expected, providing smooth shifts even under full acceleration. UD has put in plenty of work with the American-based transmission specialist across its entire truck range and it shows in how easily the driveline mates together in operations. The other advantage of the Allison is the ability to lock out gears, particularly on downhill runs, so that drivers can still obey the 'Use Low Gear' signs without worrying the transmission will shift up through the gears at an inopportune moment. It also allows the excellent exhaust braking of the new motors to shine through, accompanied by the sibilant hiss that lets the driver know when the engine is off-throttle. UD did an excellent job of developing its 6-speed manuals in-house, creating a smooth shifting unit with ratios ideally matched to the engine's torque curve, with the whole unit strong enough that it allows the use of synchromesh gears instead of the stronger non-synchro gears. The air-assisted shift is light yet precise, with no guessing games about where the next ratio is hiding on either up or down shifts, with a similarly light clutch action. In this guise, the transmission is easier to use than a 1-tonne utility which offers half the torque output but, without the benefit of air assistance, can be clunky and ill-disciplined compared to the truck. While not specifically stated as a reason for the light shift action, UD brass do acknowledge the increasing number of women entering the transport industry, and admit offering transmissions more easily handled by a larger section of the population does help the task of selling trucks to fleets employing a more diverse workforce than previously. By comparison, the 9-speed Eaton synchro box, although capable, did not feel anywhere as refined as the UD variant, requiring higher levels of driver input than the other offerings. This is not to say it wasn't suited to the job, simply that the other transmissions felt more integrated, with the 9-speed needing a firmer hand to identify the correct gate and then ensure the gear engaged before the clutch could be released. Although a synchro transmission like the others, it certainly preferred a slower shift movement with a slight pause between ratios, as though it was giving the internals an opportunity to catch up before the next gear opened. Despite this, it allows operators working at high GVMs a good option over the 6-speeds, offering a wider spread of ratios particularly for acceleration or when working in undulating terrain and an intermediate gear would allow the truck to maintain momentum compared to the 6-speed unit. While there was plenty of work on the chassis design, Hammond says the Condor cabs also underwent a redesign, with an 8-degree change in the windscreen rake creating an additional 25mm of leg room and 45mm more overall cab length. He says the cab is also now taller, with 40mm more headroom while a 'squaring' of the cab's shoulders produces 110mm more interior width. The PK model is also offered with an ADR 42-compliant sleeper bunk, while both MK and PK are fitted with a driver's SRS air bag, and Hammond says the local arm is "discussing" the possibility of a passenger-side airbag with the factory, to be introduced in time for the introduction of ADR 80/04 regulations. The other key improvement for the new model is the addition of fixed three-point ingress and egress handles, ensuring the trucks meets occupational health and safety guidelines, with a grab-handle mounted on the A and B pillars, doors that open to 90 degrees and low-mounted steps on both models. Hammond says the step height is an Australian initiative, however US variants are also now using the same step design, with the maximum step gap for the MK is set at 405mm, while the taller PK has a maximum gap of 430mm, with both models offering a lower first step height than competing Japanese trucks. Proof of the commonality of the cabs is the interchangeability of the interiors, so that moving from a six-speed manual MK into the six-speed auto PK feels as though they are virtually the same truck in terms of controls and layouts. Despite a body shape that has medicos cringing, the cabs are comfortable, with plenty of head, leg and shoulder room, which becomes even more evident when a UD staffer claims the central jump seat. The footwell is spacious, with plenty of room for steel-capped work boots, and there's a driver's footrest on the left in both the manual and auto versions for that added level of comfort. The dash is easy to read, with a large speedo and tacho, supported by outboard gauges for air brake pressure and diesel and diesel exhaust fluid (DEF) levels, all mounted inside a glare-reducing binnacle with sides high enough to prevent reflections, yet low enough to ensure driver vision is unimpeded. Interestingly, the temperature gauge is now a digital display which also shows the odometer and trip meter readings, along with day/date and time displays, making filling out trip paperwork simple. The steering wheel is chunky. 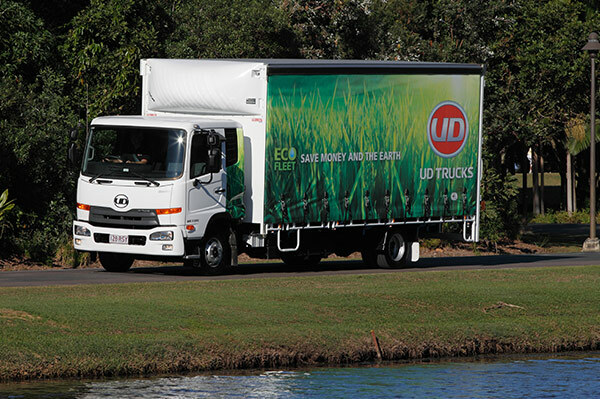 One criticism of past trucks is the skinny tiller that often came as standard, however UD has gone for one with plenty of soft grip padding, another example of the so-called "1 per cents" that UD has included to give drivers the best possible work space. As with most medium duty set-ups, the steering column wears two stalks, the left covering wipers, hazard lights and exhaust brake, while the right-hand side handles lights, indicators and cruise control. In the past, UD has won plenty of friends by fitting chunky buttons and rotary dials to its trucks, designed to make it easy for the driver to locate the preferred function by braille, ensuring there's no loss of eye contact with the road. Fortunately, this policy has remained with the new cabs, so that reaching across to adjust the air-conditioning or engage the cruise control master switch - very cleverly mounted on the dash where it can be switched on and off - while minor alterations happen via the column-mounted stalk. The biggest complaint would be that the minor controls for the all-new in-dash entertainment unit can be fiddly, with a number of buttons laid out both horizontally and vertically. Switching between functions does take practice. Other than that minor quibble, the rest of the cab shows a sensible layout, with a spare double DIN slot beside the audio system - in the case of the test truck, half-filled by a UHF radio - UD's traditional 'big truck' stubby park brake lever down by the driver's left thigh, and plenty of oddment space. Another example of the detail in the new models is that the driver still has a drink holder even when the centre jump seat is in use, which is also large enough to cope with the delivery driver's health drink, a large bottle of iced coffee. 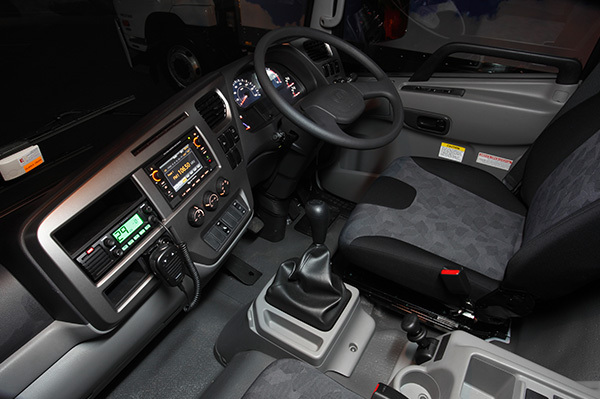 This mini-console also houses the park brake and the remote controls for the power mirrors, while there are still blank switches, both in the console and on the dash, to allow for application-specific controls such as PTO and tipper functions. With CVG, parent company of brands such as Kab and Bostrom, designing new driver and passenger seats for UD, the MK and PK are now better than ever, offering increased levels of support compared to the previous accommodations. The driver, in particular, is the winner with full air suspension, auto height control and a seven-position shock absorber covering all body weights from bantam to sumo, while the head rest on both seats is 80mm higher than previously. With six different trucks available for testing over the course of the day, actual seat time was always going to be limited, however the program was presented as a 'sample pack' of the trucks. With each leg of the program no longer than 45km, the launch was never going to be an exhaustive test of the new models, but it did provide plenty of pointers as to how the trucks should perform when the opportunity comes for a full-length test. With two levels of tune available from the all-new GH7 engine, a 7-litre in-line six developed completely in-house by UD is so good it has been earmarked to appear in future Volvo offerings, most likely going into Middle East markets. Limited to 250hp and 716Nm of torque in the MK, the PK receives the more powerful 280hp/883Nm version, allowing it haul heavier loads with the same aplomb as the lighter version. While the old versions were not excessively loud in their final iteration, the new models impress with their supremely quiet idle, which transmutes into a muted rumble as the revs build and the engines begin to take up the strain. Although loaded high against the permissible maximums, none of the trucks struggle at either take-off or in cruising mode, the only version that really lets you know things are happening is a special evaluation model used for ADR testing. This one is a PK 17 280, loaded to 14 tonnes and fitted with an experimental 5.875:1 final drive ratio that allows it to leap away from a standing start despite its burden, although the trade-off is that it very quickly reaches peak revs in all six gears and then sails close to the engine's redline as it passes 80km/h. This truck was deliberately included in the test fleet to demonstrate that, even at peak revs, the cab remains comfortable. In fact, one passenger spent half the leg on the telephone without once complaining about the noise levels. Fitted with the super-tall drive ratio, which would normally be fitted only to vocational trucks carting high weights and operating generally at less than 70km/h, such as tippers or agitators, the PK made short work of the hill climb section, racing up the incline and demanding higher gears where the other trucks were more content to lug their way up using the torque curve to full effect. As befits a truck that spent more than four years in development, with the final specification agreed on in Japan even before Australia had launched the previous ADR 80/02 models in 2008, the whole vehicle feels well-sorted. Unlike some of its competitors that are still being refined after entering service, the new MK and PK are complete and ready to go to work, and provide a superior feel to other models. The steering is well-weighted, not requiring excessive effort to turn the large wheel, while dead spots have been eliminated so that even a slight turn produces a predictable result at the front wheels. Similarly, the suspension and ride were impressive, with even the worst bumps on some atrocious country roads, perhaps chosen for this reason, never threatening to send the trucks spearing off into the countryside. 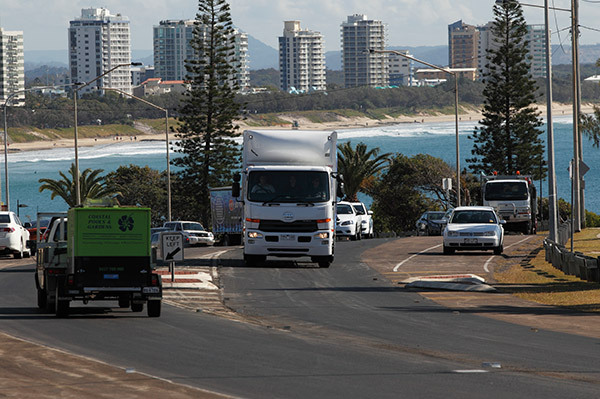 Instead, while there was no doubt the truck was running across poorly-maintained bitumen, occupants were cosseted, particularly the drivers in the new suspension seats, with most of the notice coming via the road noise that accompanies the wheels and tyres hitting potholes and corrugations. The drive program did highlight the curious decision by the factory to invert the door mirrors on the early production models, so that the spotter was at the top of the cluster with the main mirror in the lower position. While intriguing, it wasn't critical. However, Erik Andersson says this has now been corrected within the factory and kits are available to fit standard mirrors for those customers who request them. As was repeated many times during the launch program, UD is keen on cementing its place in the market and then moving forward with 'conquest' sales to take ground from their competitors. After even a brief drive, it's clear this policy could in fact have two winners - UD, because it will sell plenty of the new models, and truck operators, who now have another choice when buying a medium duty product. The build quality, based on the launch vehicles, is good, the fit and finish is certainly excellent. The company is certainly moving away from its 'bare essentials' approach that was made necessary in previous years by the lack of new product.